Our little two and a half foot tall tornado, Olivia, who is going on two years old, was in the living room with about three or four adults. We were sitting around visiting, I think the TV was going, and we all were “watching the babies”, an activity that is understood among us that we all do at all times. The piano is over on one side of the room with the love seat facing away from it, but the couch and easy chair is side ways to it. It is an open area, so as one is sitting there, it is an easy thing to glance over to the children’s play area by the piano or any part of the room to check on the activity of “Little Bit” and any of the other little ones when they are here. We saw that she went over and climbed upon the piano stool banging away at the piano, with her slight pauses in between concertos, and that is OK. We like for her to “play” the piano. There was another pause, just a few seconds, and she was playing again. 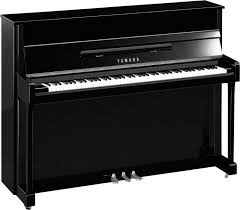 The Momma casually glanced over at the piano and shouted out “Grammy!” All attention was directed to the piano. We all saw Olivia now standing on the keys, moving her feet up and down playing the same “concerto” that we had heard only a few moments earlier as she sat on the stool playing. She had quickly, in seconds, stood on the piano stool and up on the keyboard to continue her “performance”. She was holding her little body in balance only by her hands being laid up on the top of the piano as she was attempting to investigate some item that caught her eye. She was rescued without incident with us all made acutely aware of just how fast things can take place with a child even when being closely watched. The early church was like a child. She had been with the Spirit filled Jesus to see him slice through all kinds of social barriers to forgive the “unforgivable”, set “crazy” people free from demons, heal the sick, raise the dead, and do all kinds of things. She didn’t know any better than to just crawl right up on that keyboard and play that same song, oblivious to the danger. She got filled with that same Spirit with which he was filled so she did the same things he did. When we lose our sophistication and get in there filled with the same Spirit and play the same song that we have seen and heard Jesus playing, the job really gets done of carrying out the Great Commission. When that happens, it gets everybody’s attention, lives are changed in many ways, and the name of Jesus is magnified. Church, let’s play our piano!